While taking into account your current fitness level, 1SoFIT personal trainers will helps you define achievable fitness goals. You may have some idea of the goals you want to set, but our professionals are able to help you break them down into smaller goals that are specific and realistic. 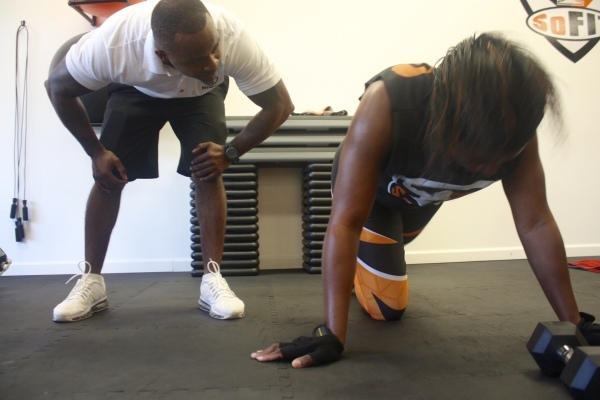 Our personal trainers will provide you with the support, the training systems and the nutritional coaching, that you need to get on the road to achieving your fitness goals. Our group fitness classes are flat out fun, motivating, and inspiring. Between the great music, a great workout and great group of people motivating each other along the way, it's an enjoyable way to exercise. If you're looking to add a little more motivations and fun in your workouts, our group classes are just what you need. Try our affordable personal training sessions. Private sessions can be scheduled Mon - Fri, 4 sessions a week based on availability. Each session is held for 60 minutes. Sessions can be scheduled between 10AM-3PM. Nutritional support included. Monthly assessments include weigh in, body measurement, and body fat measurements. Click "Sign Up" to schedule a session. Join us for a sessions. Join us at one of our weekend boot camps. 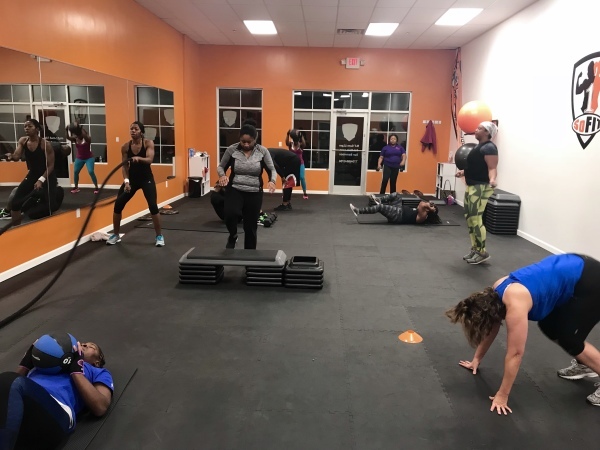 Our boot-camp programs will provide you with a high energy, fun, and challenging workout designed to burn maximum fat and tone your entire body. In the end, these military inspired boot camps will leave you with the feeling of exhaustion and fulfillment. Please contact us for availability and locations prior to purchase. Click "Sign Up" to receive information about boot camp classes. At 1SoFIT Fitness we know how busy and hectic a teacher's schedule can be, so let us bring fitness to you. The FIT Teacher Fitness Program is our 12 week after school fitness program for teachers. 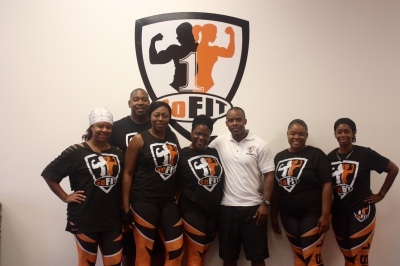 The FIT Teacher Fitness program encourages commitment and camaraderie among the teachers which will provide positive reinforcement to keep each other on track to obatin their fitness goals. Click "Sign Up" to set up a program at your school. Come join the fun in this high energy, fat burning class, with easy-to-follow routines. Keep your body in shape with this dance inspired class that won’t even feel like a workout. This class is FREE with monthly training package. Others must pay drop-in rate. Everyone must register at least 24 hrs prior to class. Click "Sign Up" to receive information about body burn classes.